Description Hand cranked cake cutter. 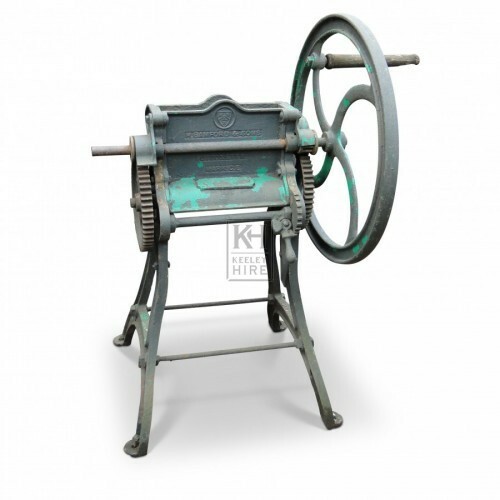 This machine was used to break up linseed oilcake. Oilcake was bought in hard large slabs and needed to be broken up for cattle feed.